A feature documentary produced by Belfast based Fine Point Films has been nominated for an Emmy Award. Elián is the story of Elián Gonzalez, a five-year-old Cuban boy plucked from the Florida Straits, and how the fight for his future changed the course of U.S.-Cuba relations. Featuring personal testimony, interviews, and news archive, the documentary recounts Elián’s remarkable rescue on Thanksgiving Day in 1999, after his mother and 10 others fleeing Cuba perished at sea, and the custody battle between the boy’s Cuban father and his Miami-based relatives. The film, which received funding support from Northern Ireland Screen via Invest NI, is nominated in the Outstanding Investigative Documentary category in the 39th News and Documentary Emmy Awards. The awards ceremony will take place on 1st October in the Lincoln Centre in New York City and will be attended by over 1,000 people from television and news media, as well as documentary producers and journalists. “We were absolutely thrilled to hear the news that Elián has been nominated for a prestigious Emmy award. The News and Documentary Emmy Awards celebrate the finest in news and journalism and recognise the importance of maintaining the highest standards in broadcast journalism and documentary making. “We began working on the film back in 2013 and I travelled to Cuba several times to meet with Elián and his family who ultimately trusted Fine Point to tell their incredible story for the first time. We are forever indebted to Elián and his family and friends who gave us their trust. “Congratulations to Fine Point Films on its nomination for Elián at this year’s News and Documentary Emmy Awards. “I am delighted for all those involved that their hard work and talent is being recognised on the global stage. 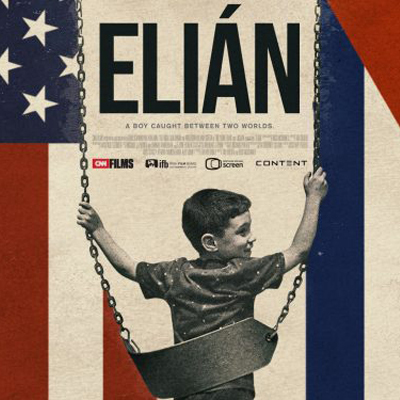 Elián was backed by CNN Films, Northern Ireland Screen, Irish Film Board, and BBC Storyville. The film was distributed by Kew Media Corps.